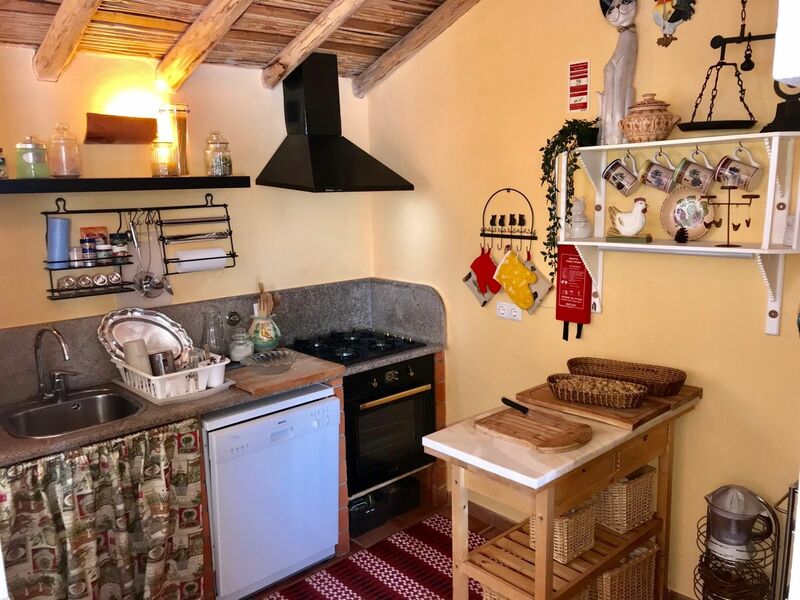 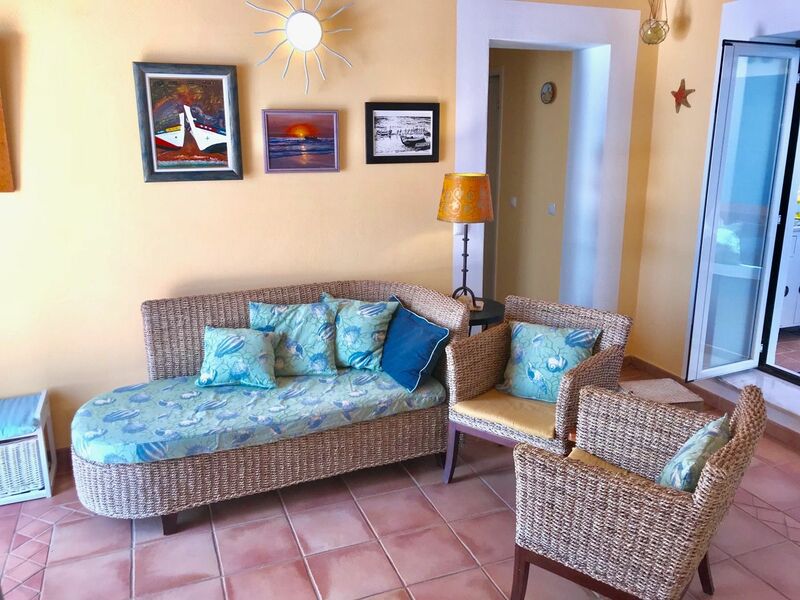 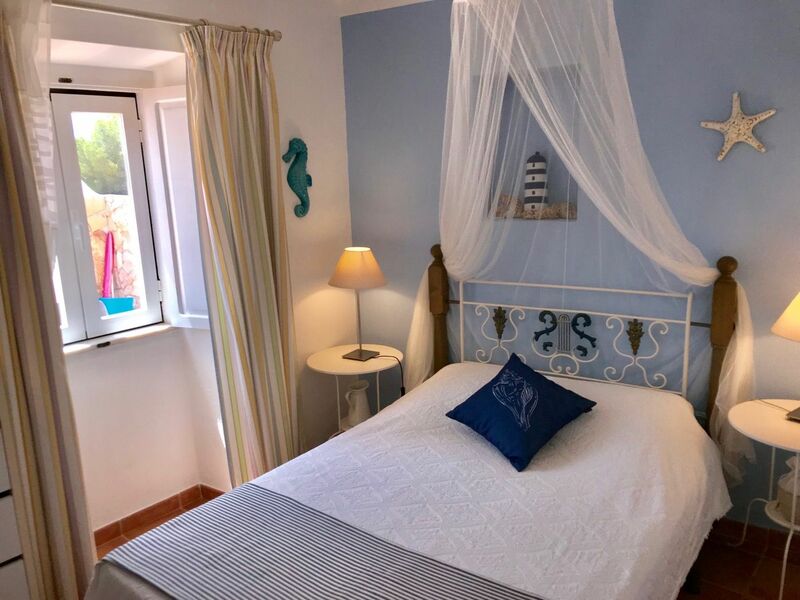 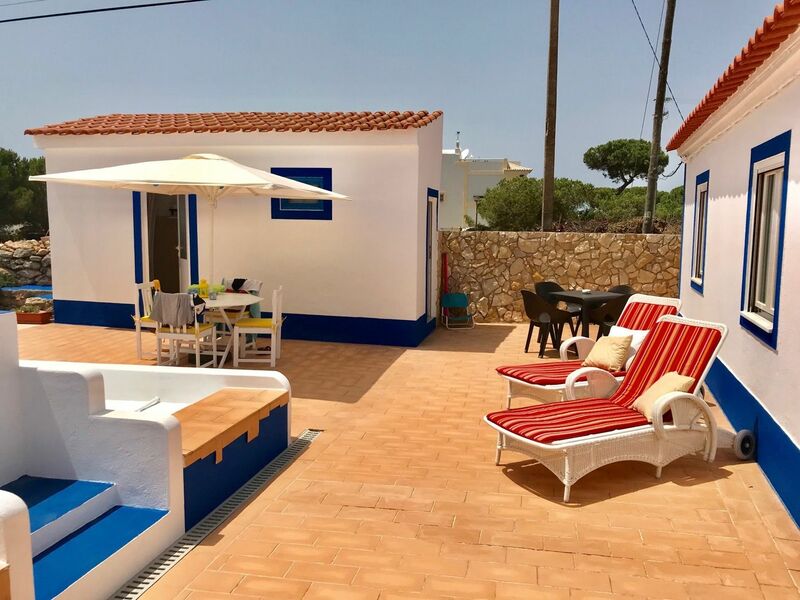 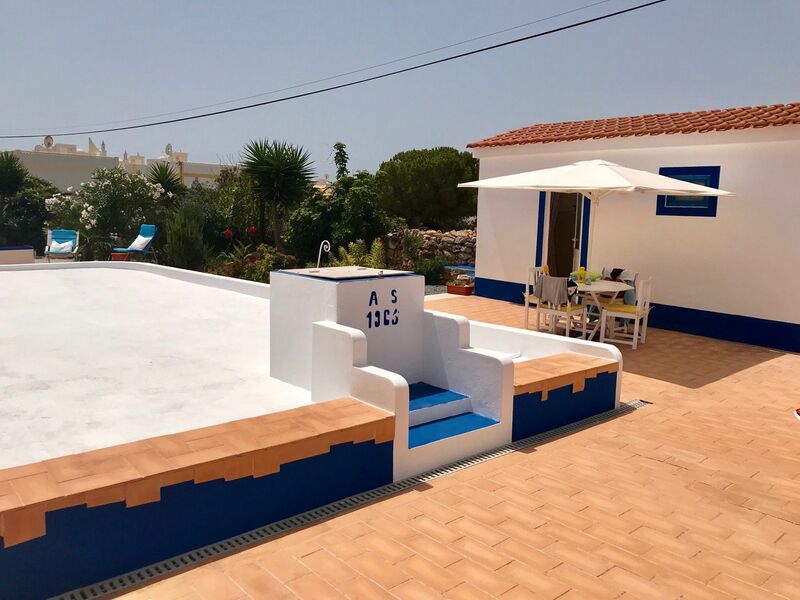 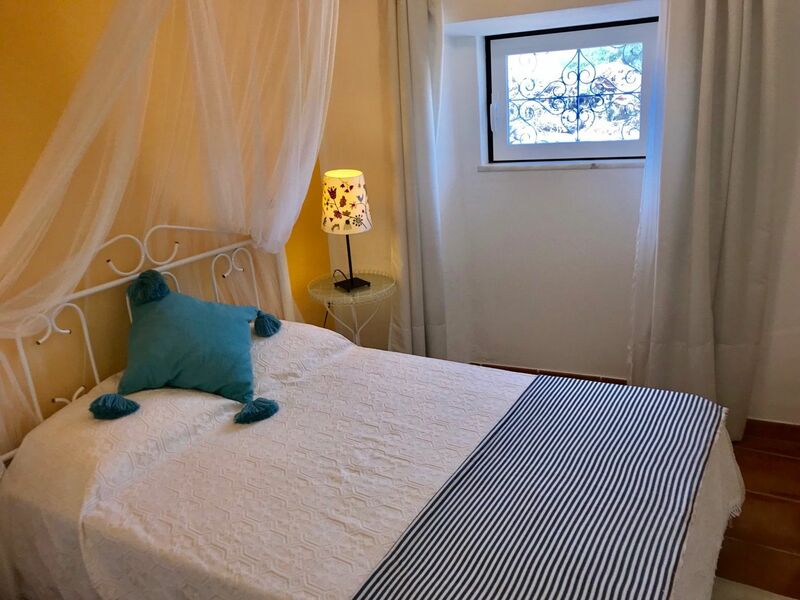 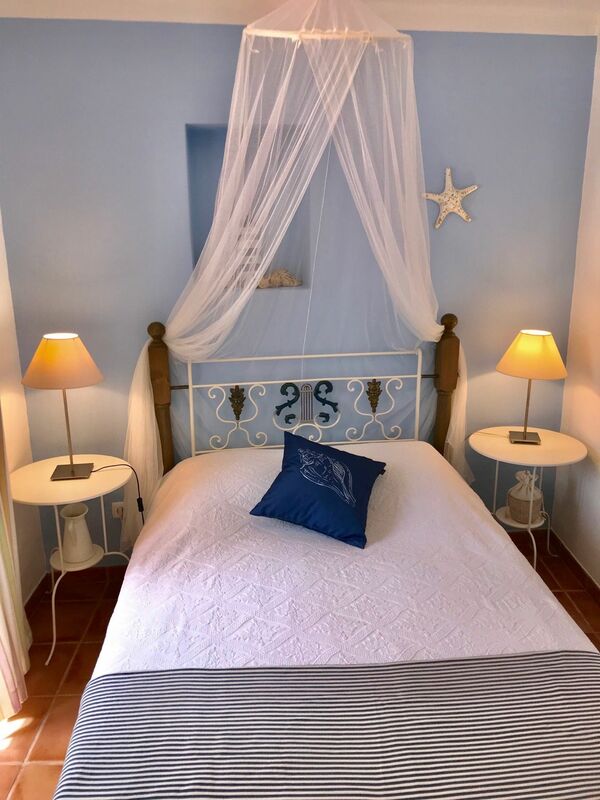 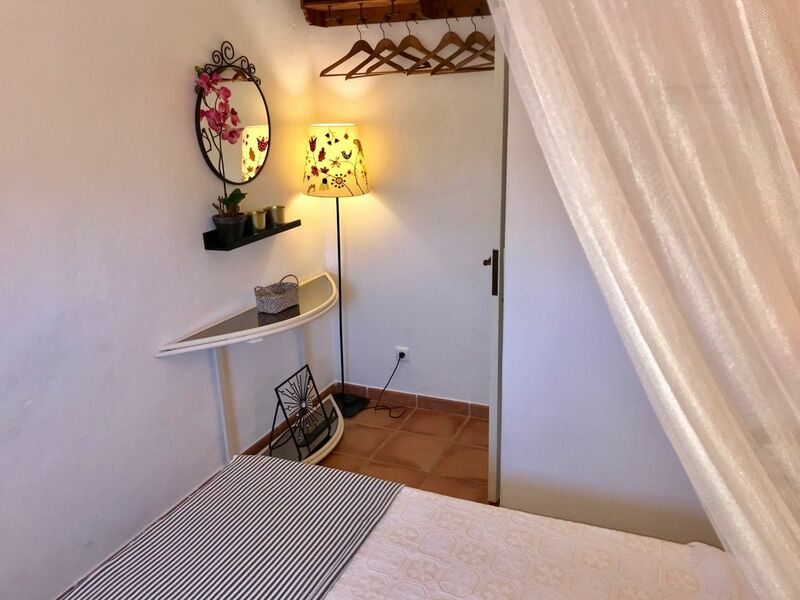 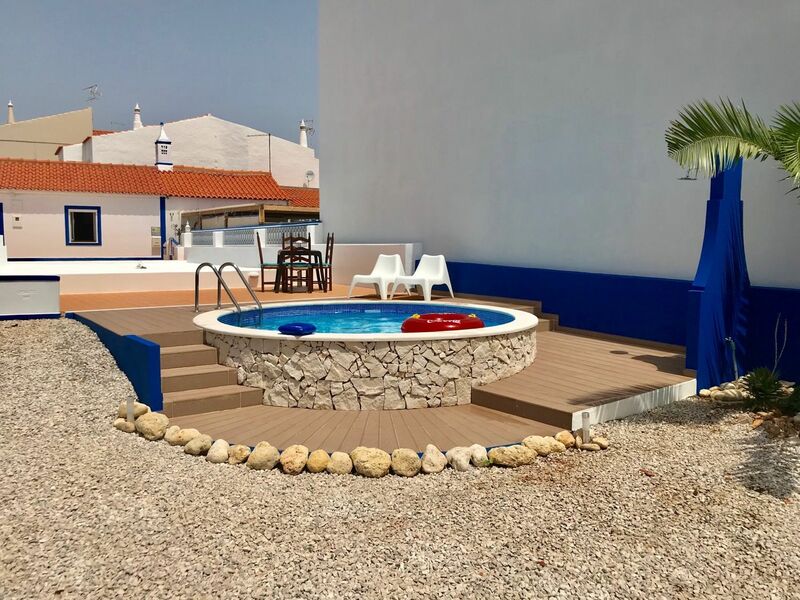 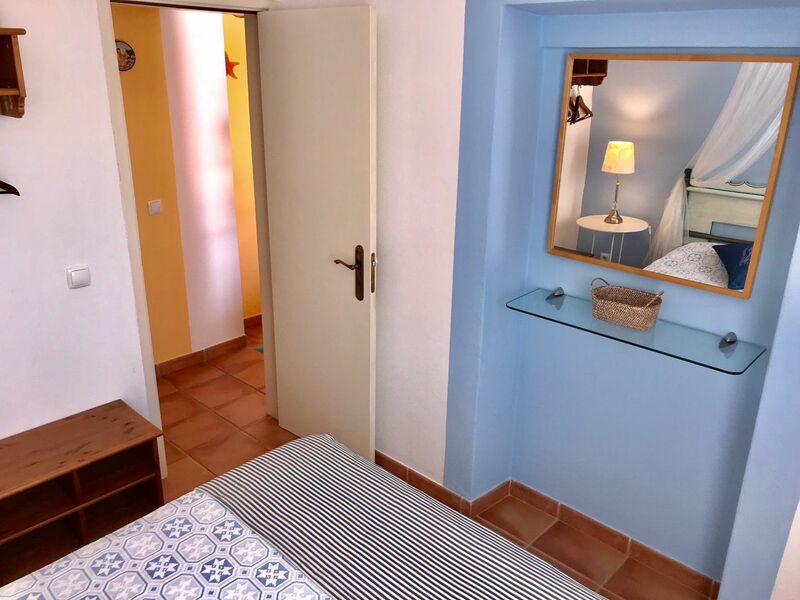 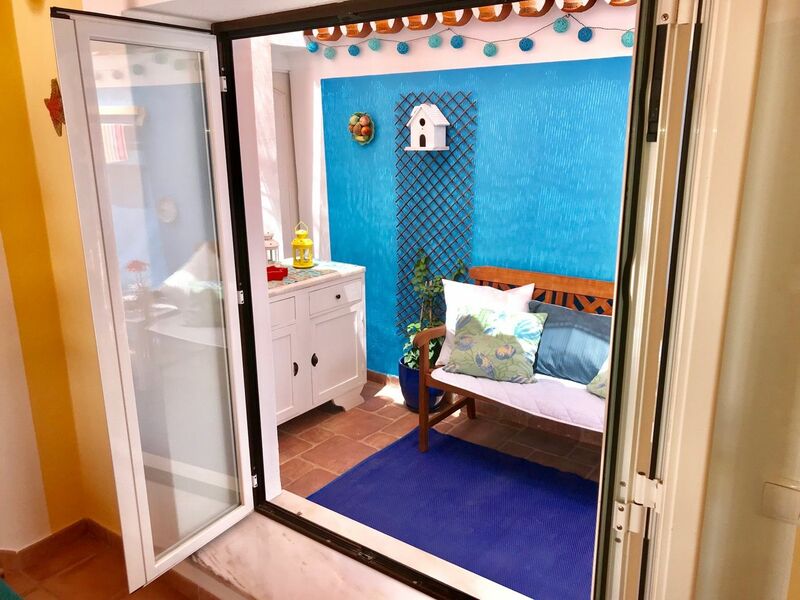 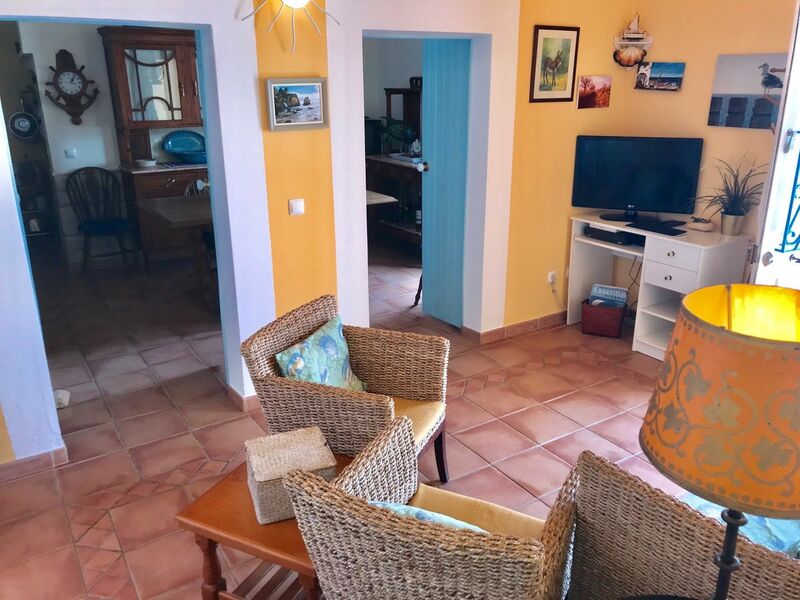 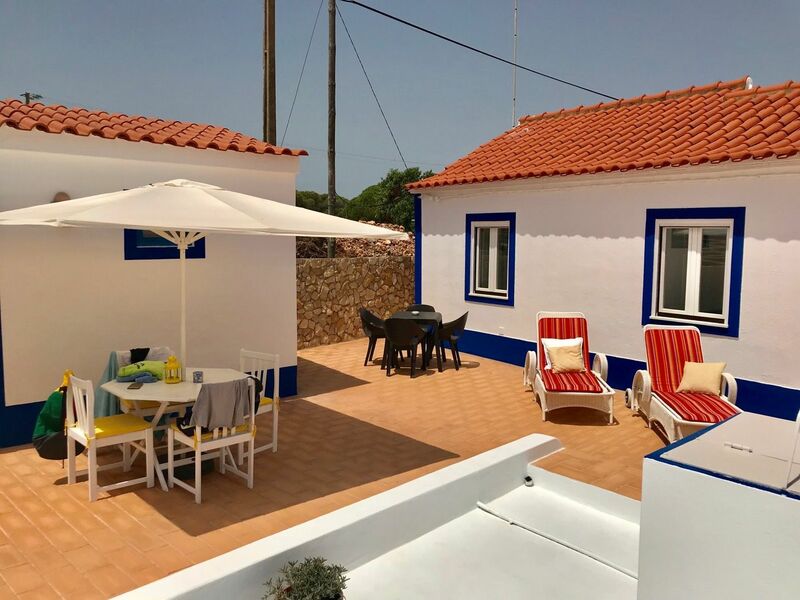 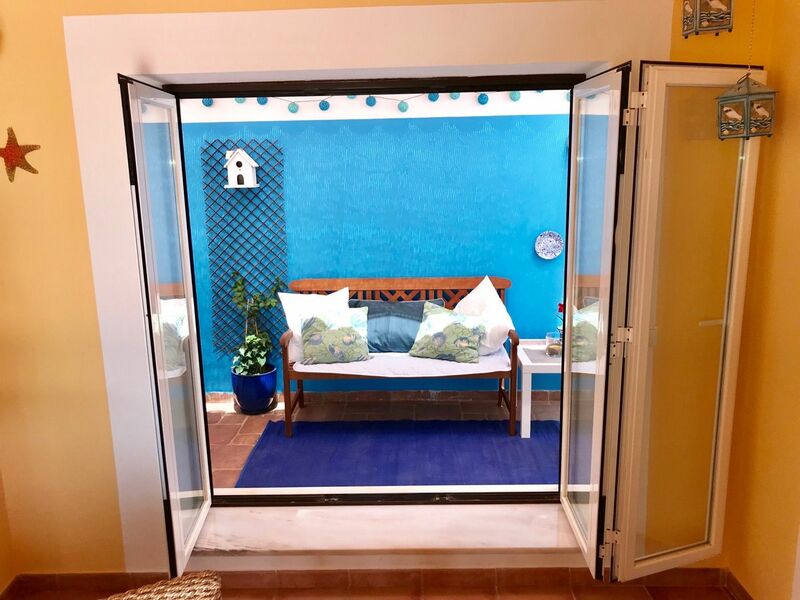 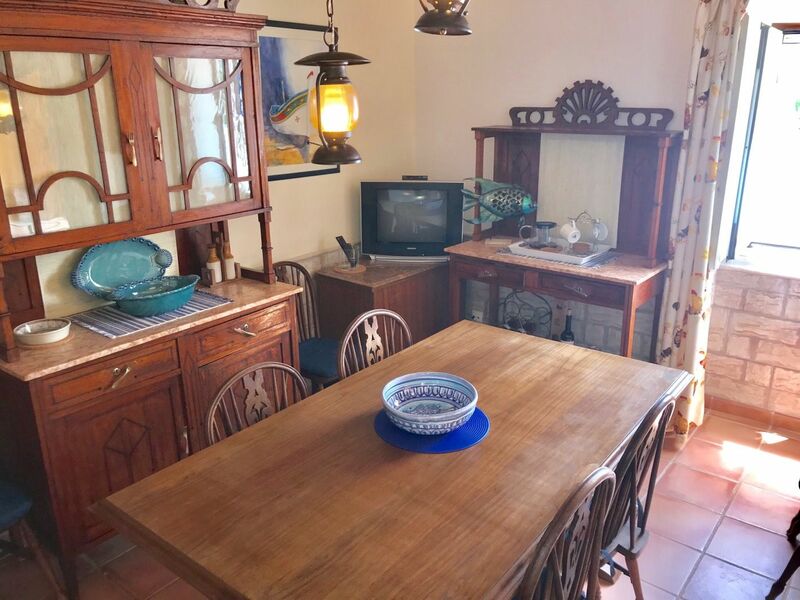 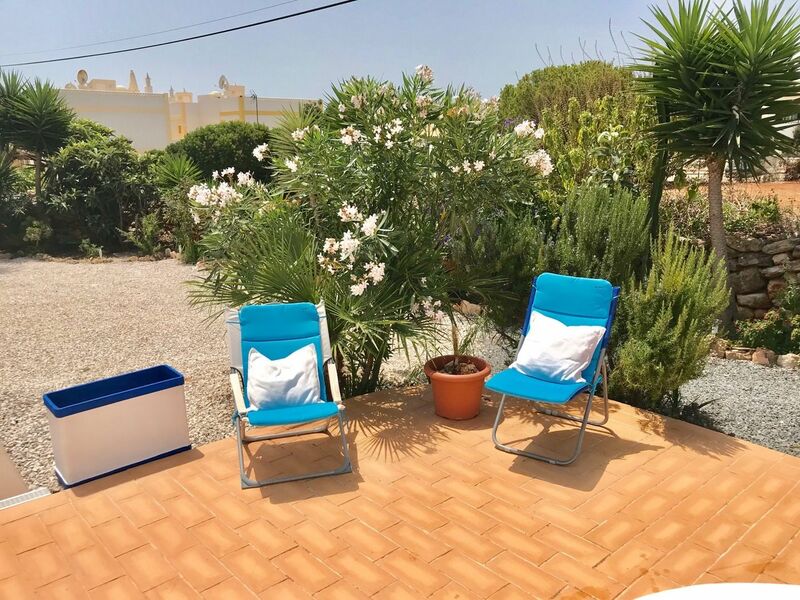 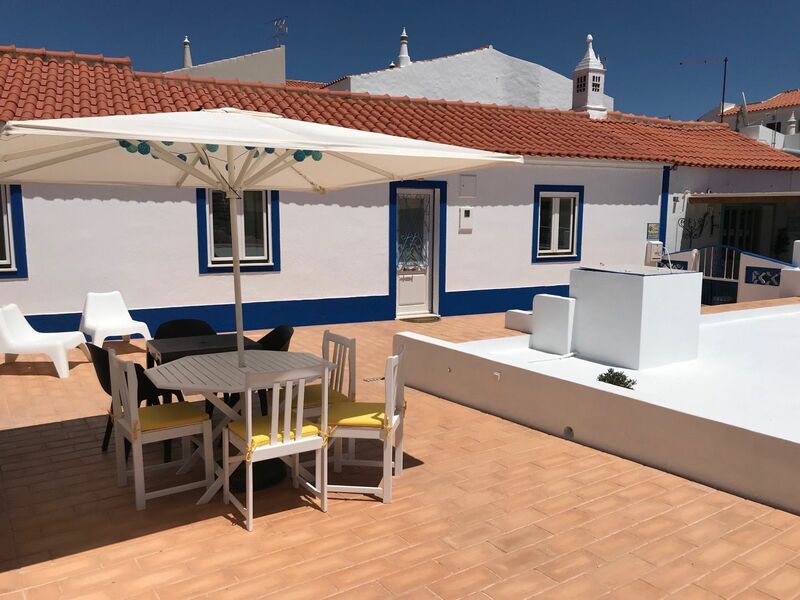 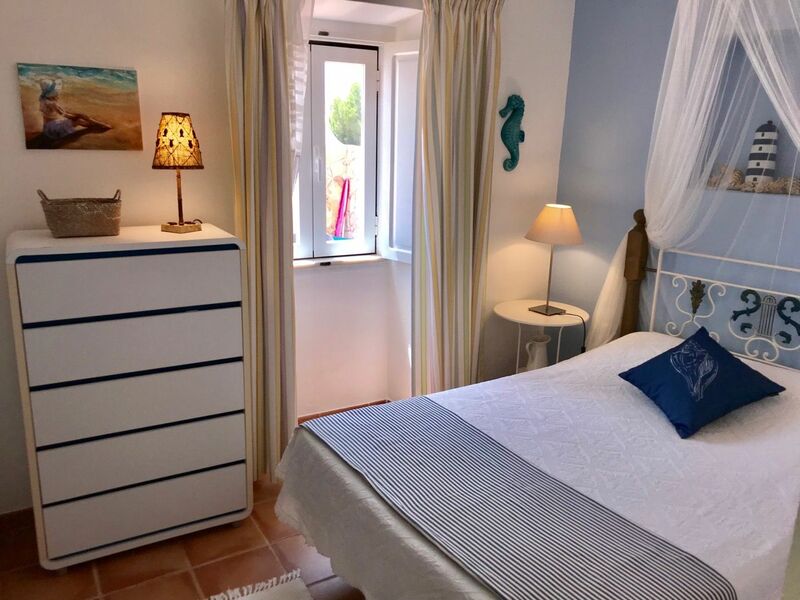 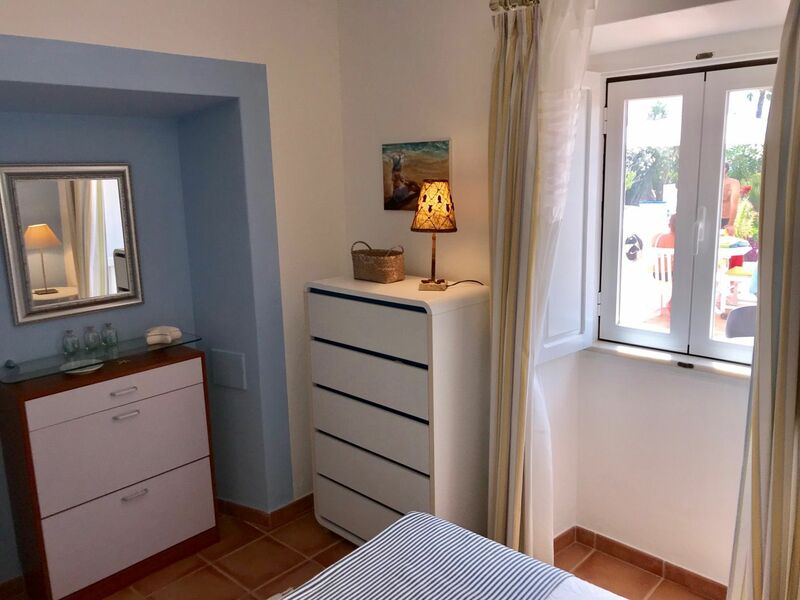 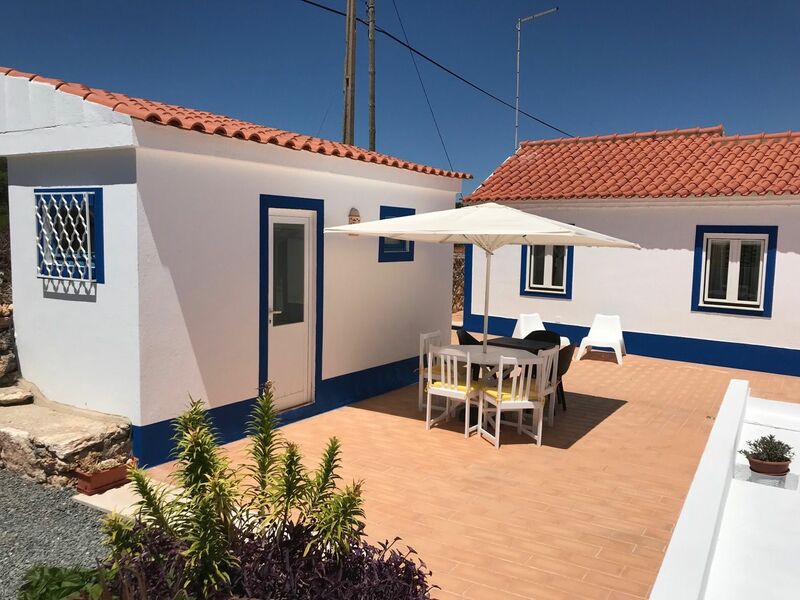 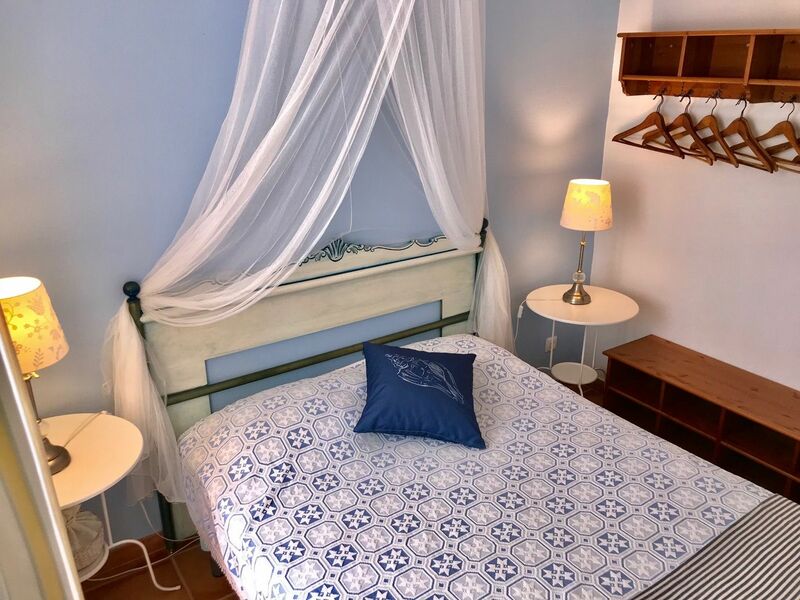 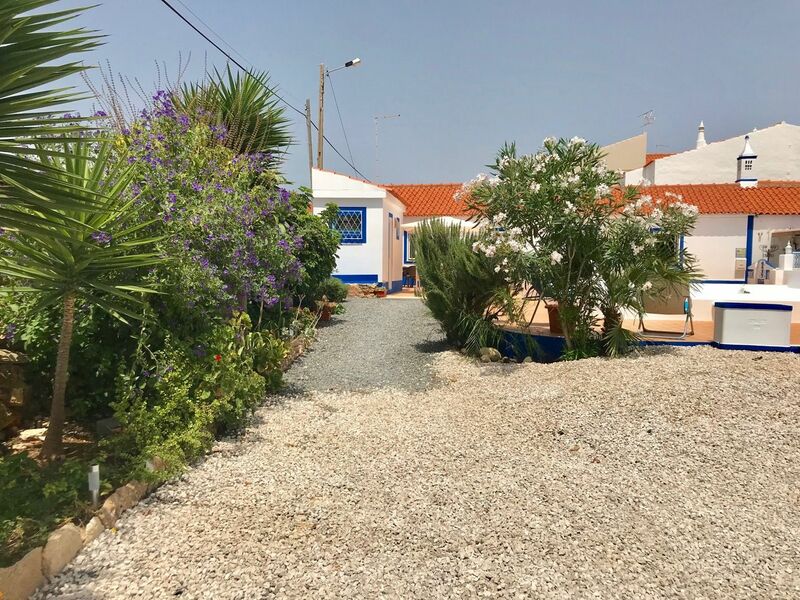 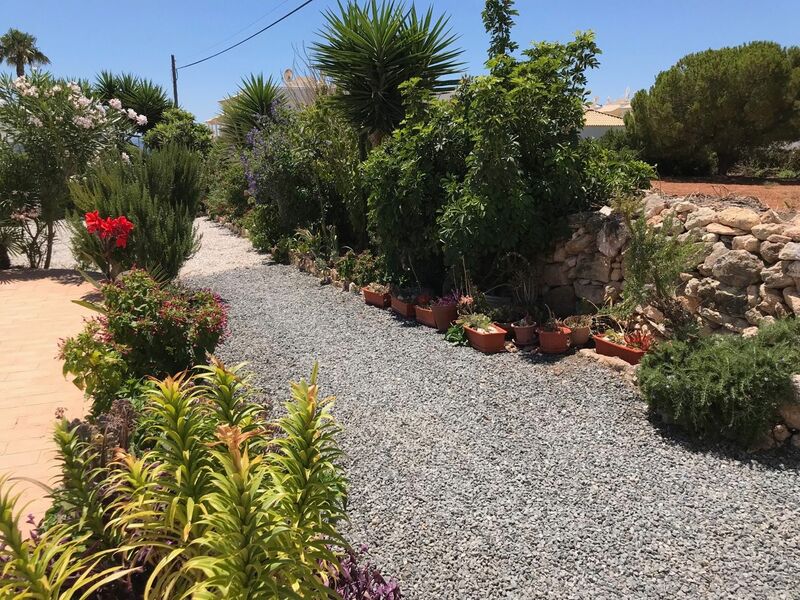 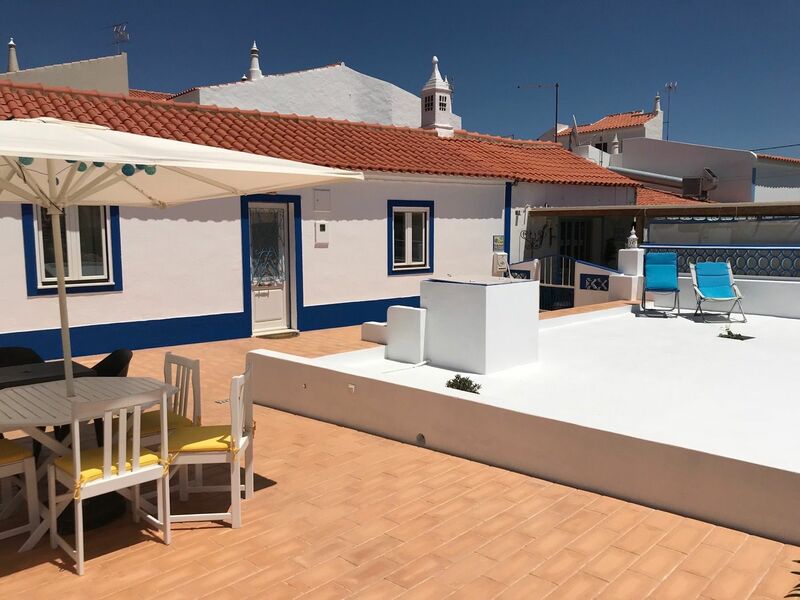 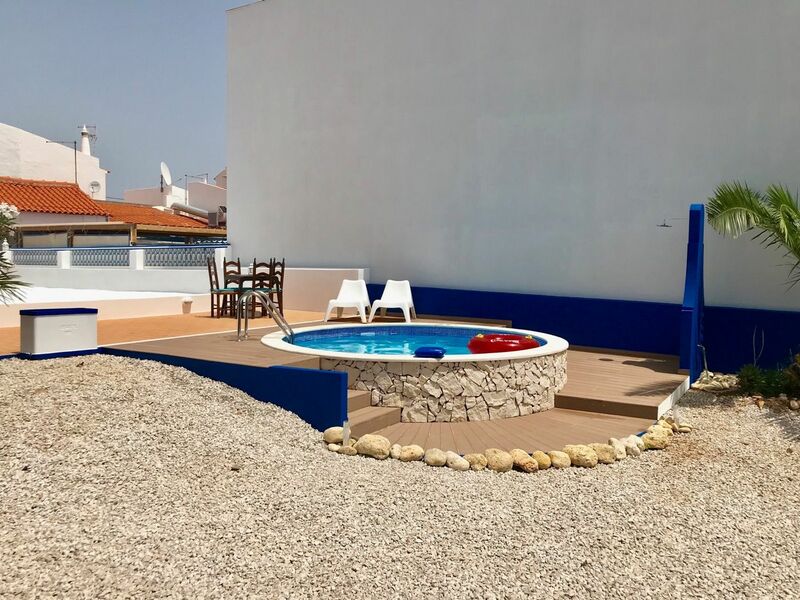 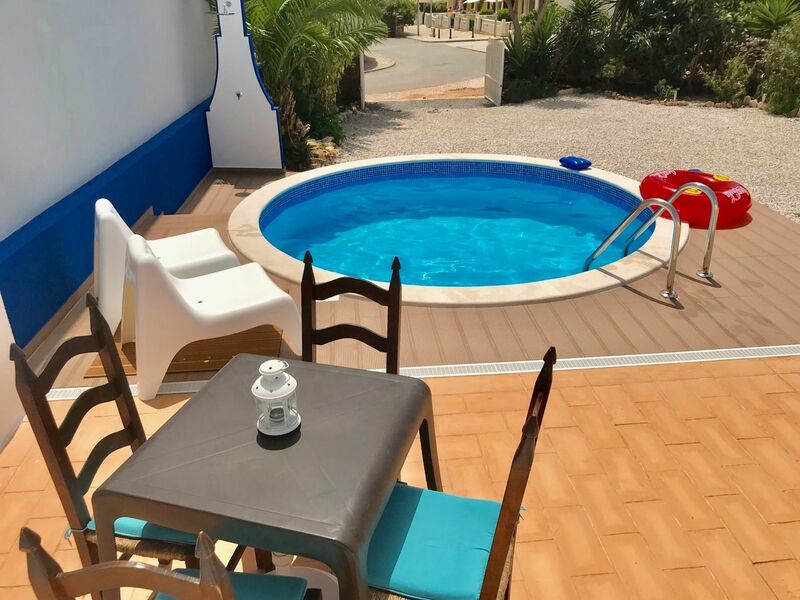 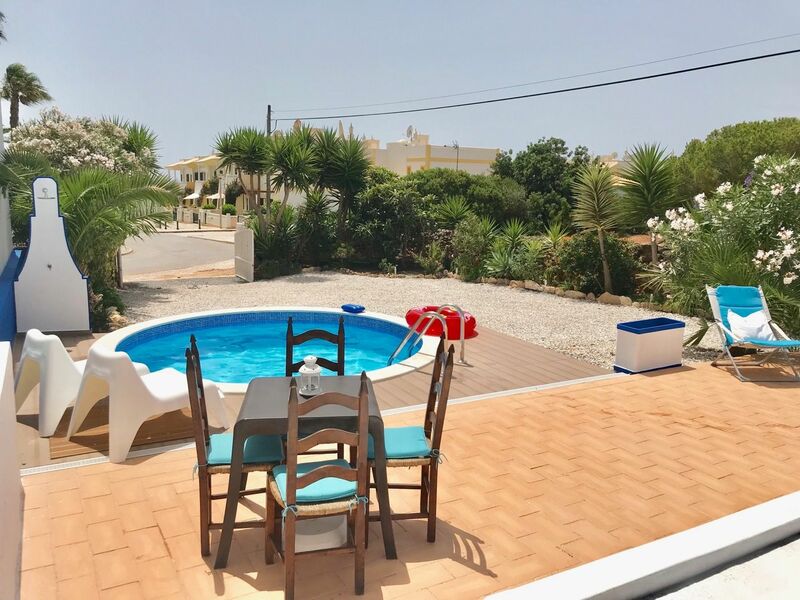 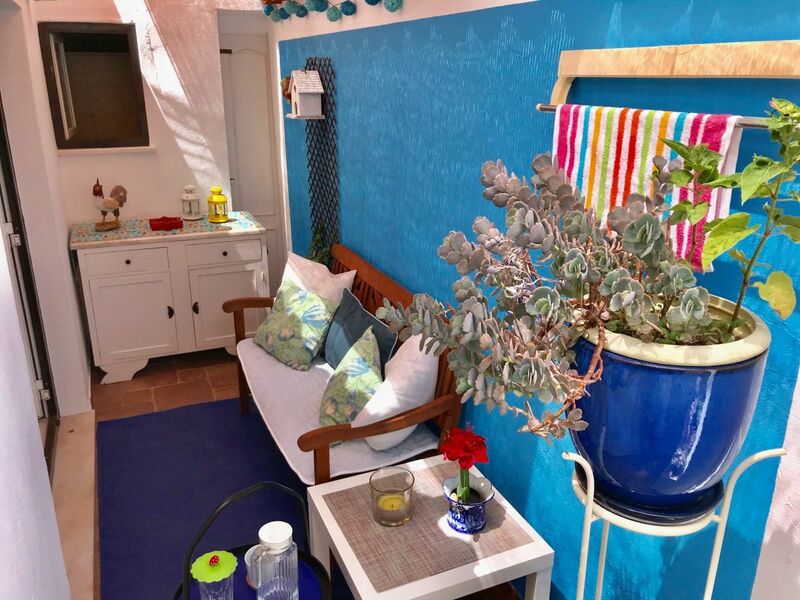 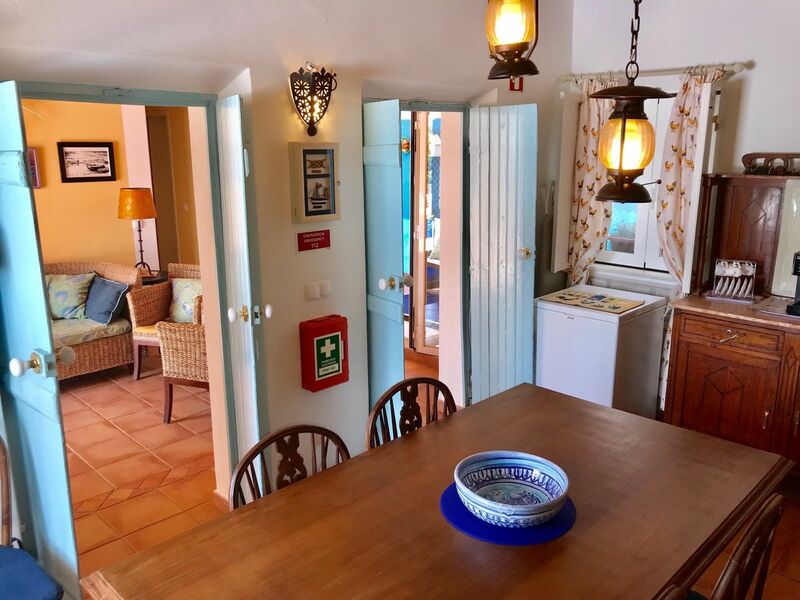 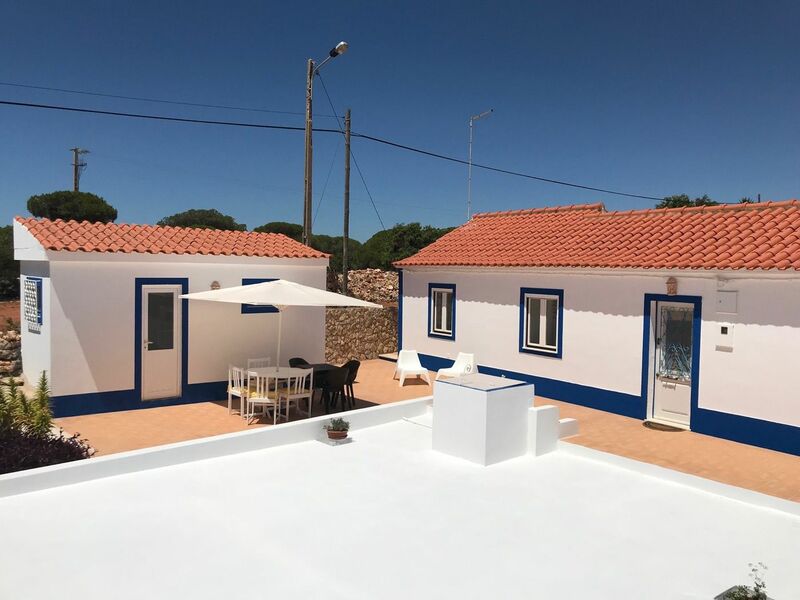 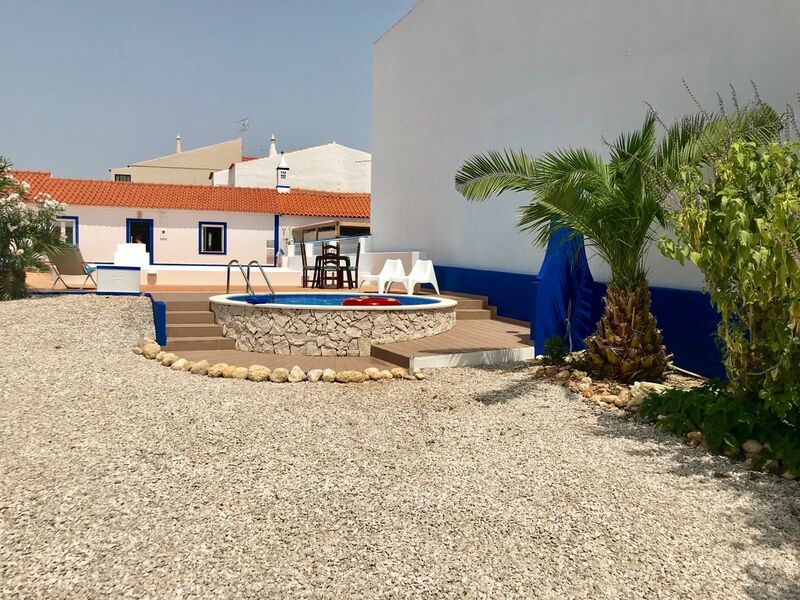 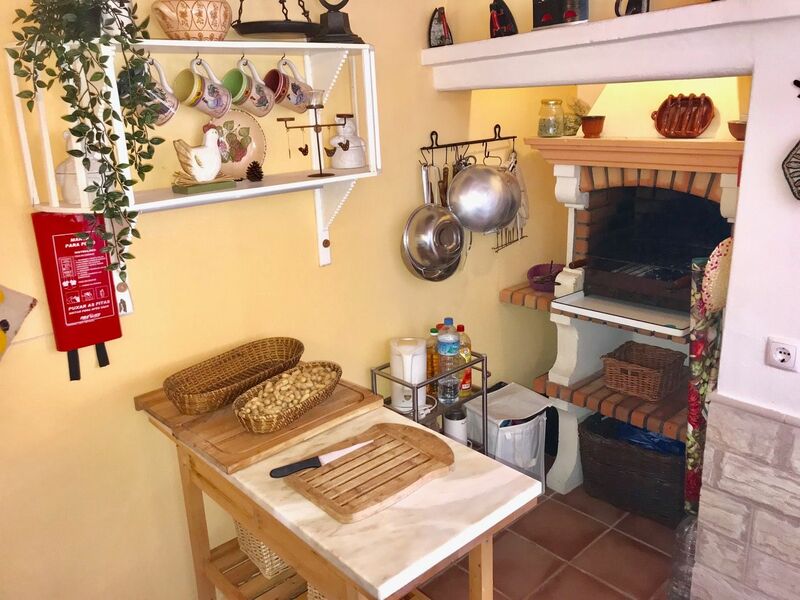 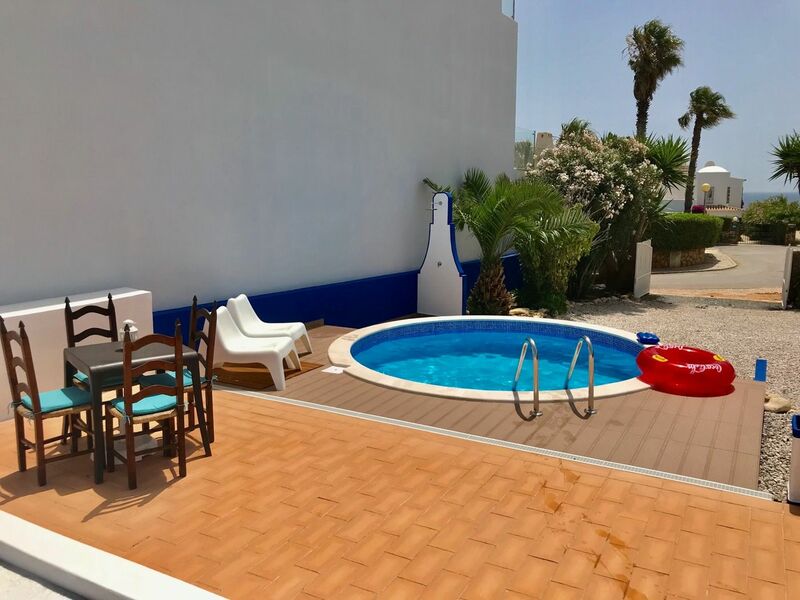 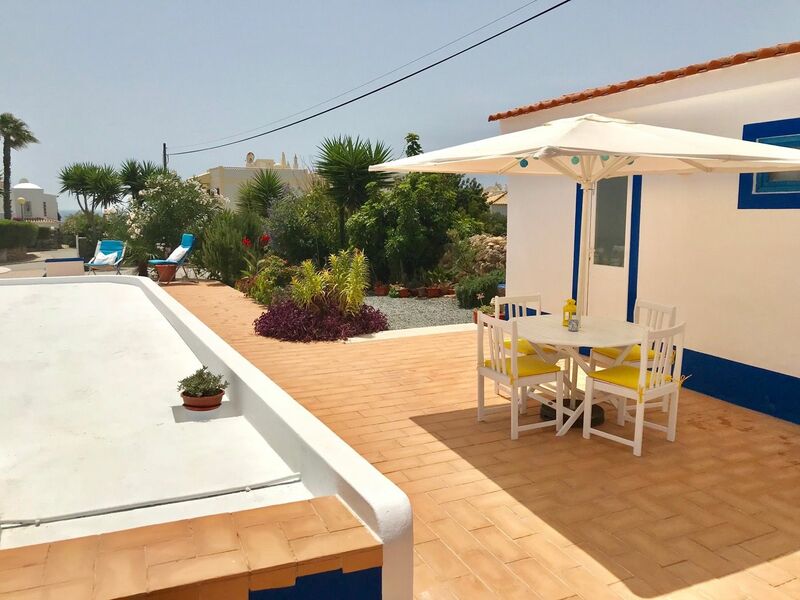 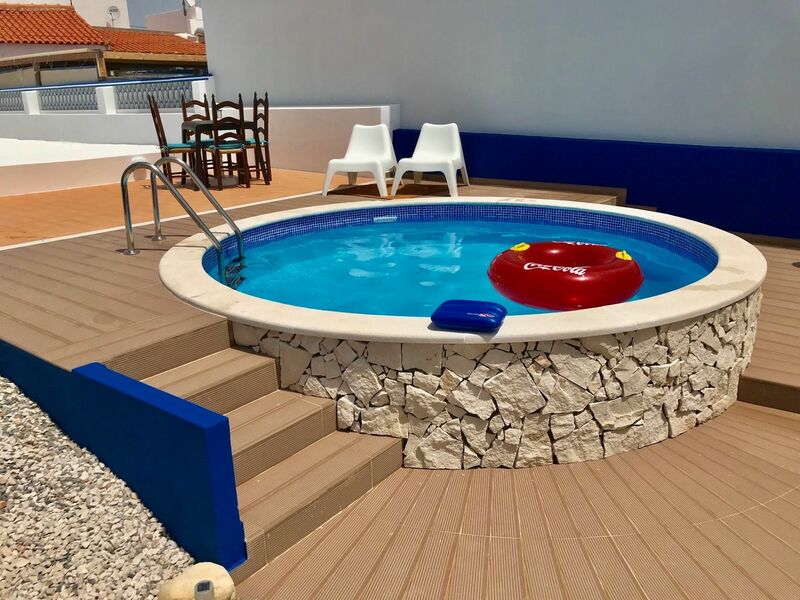 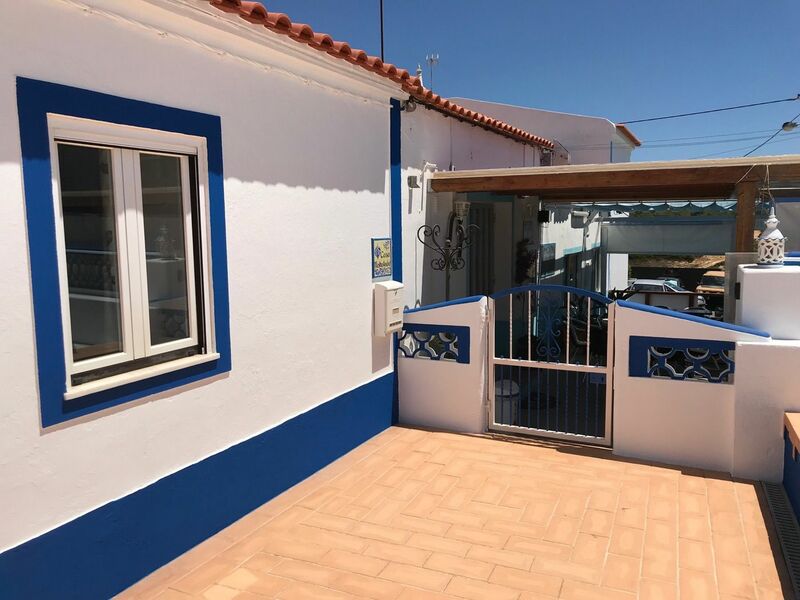 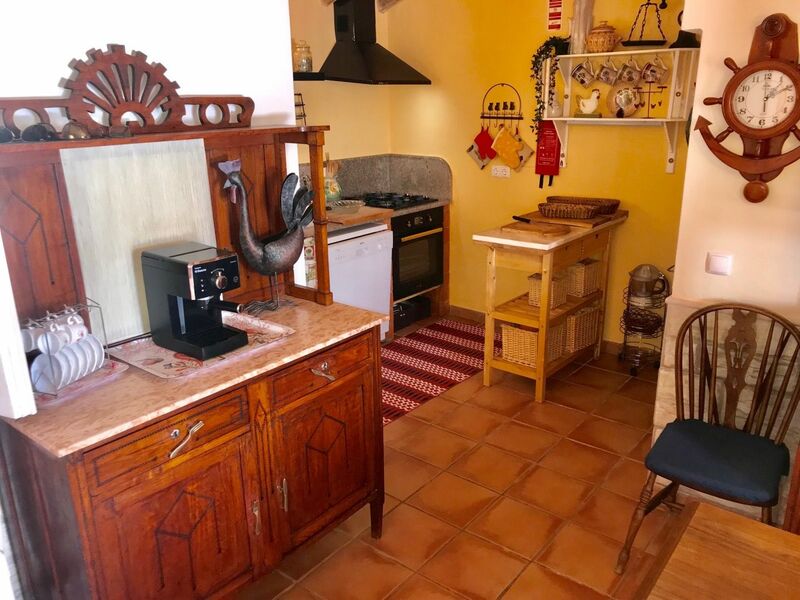 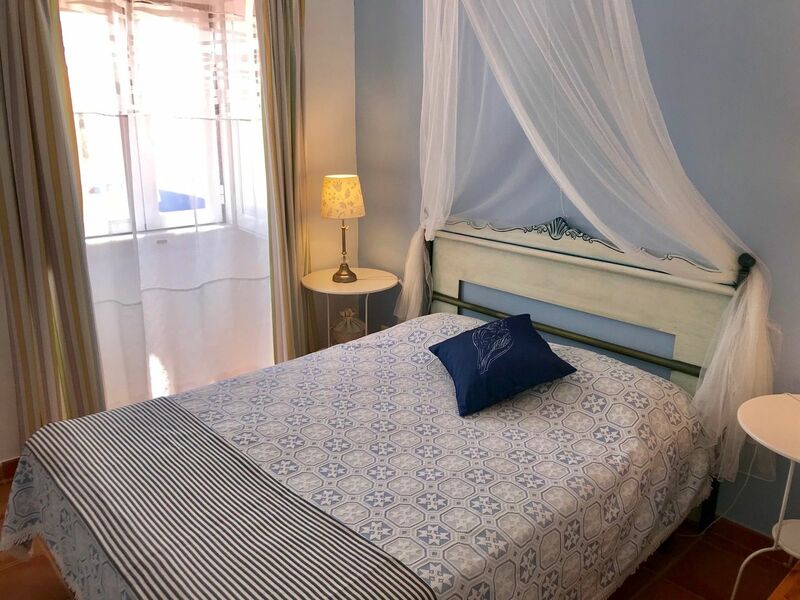 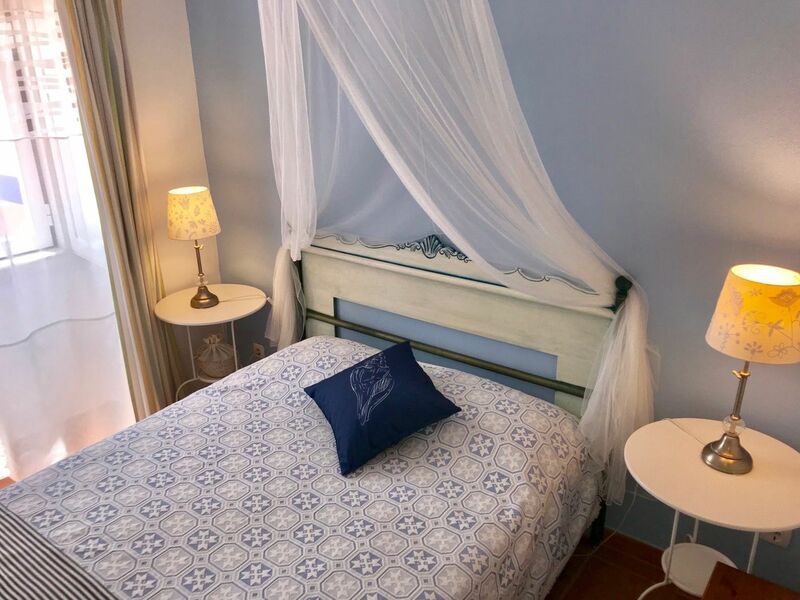 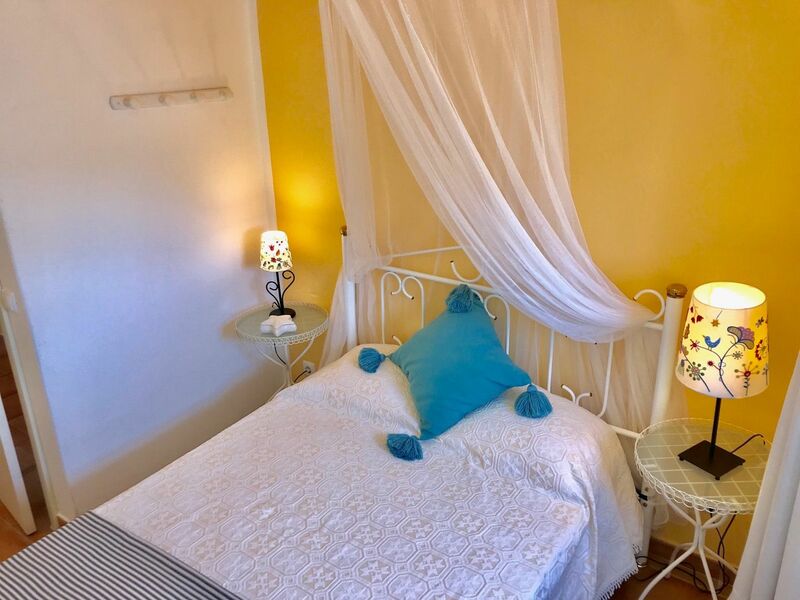 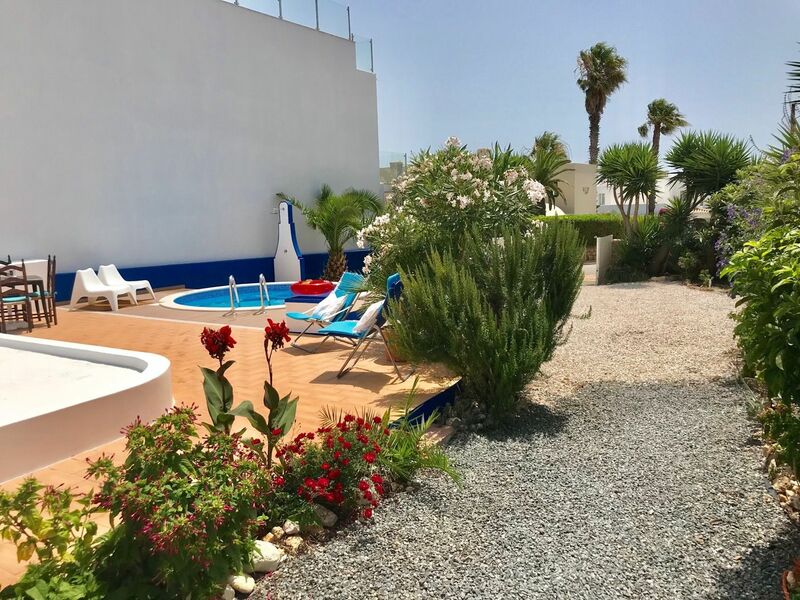 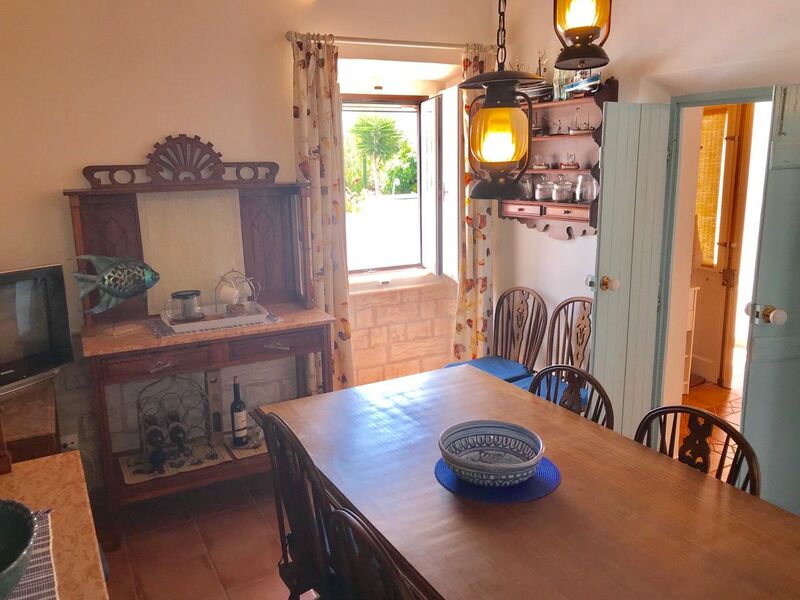 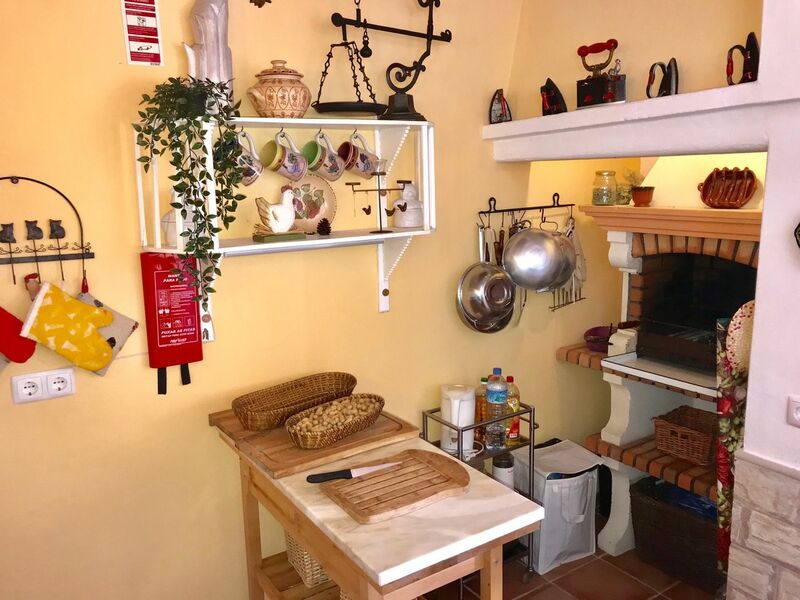 Casa Mestre André is a traditional 3 bedroom fisherman´s cottage with a spacious terrace, a nice round pool and a private parking space (very handy in high season!) 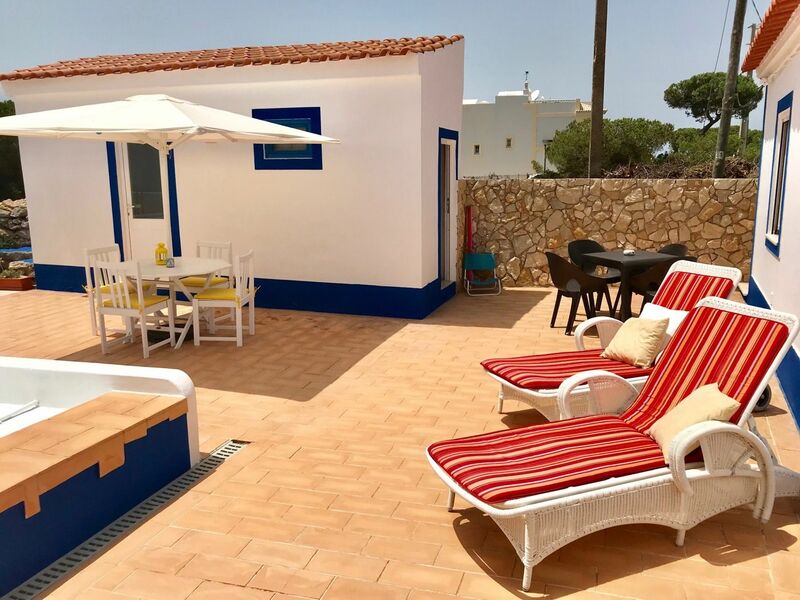 The location is really ideal as it is situated between the beaches of Benagil and Carvalho. 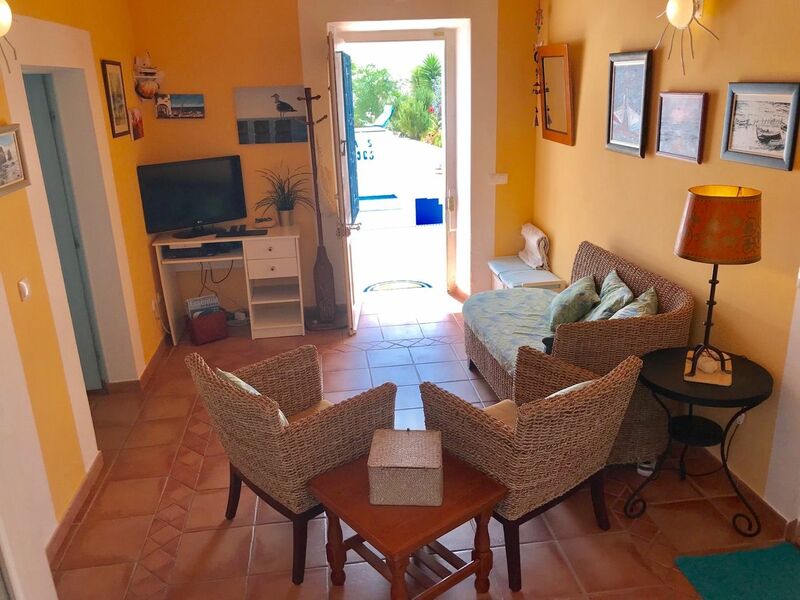 A stone stairs, that is almost opposite the house, gives you access to the Benagil beach. 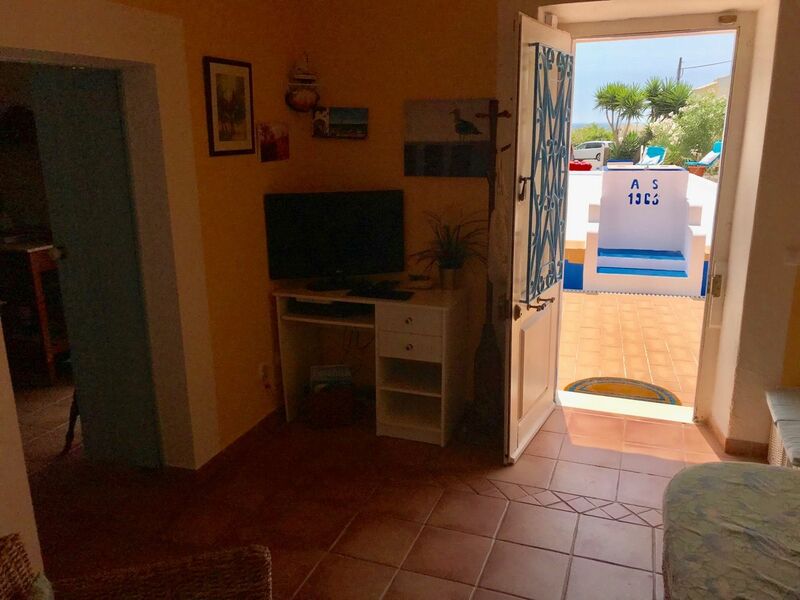 From here the fishing boats are waiting to go out fishing or a go for a cave trip. 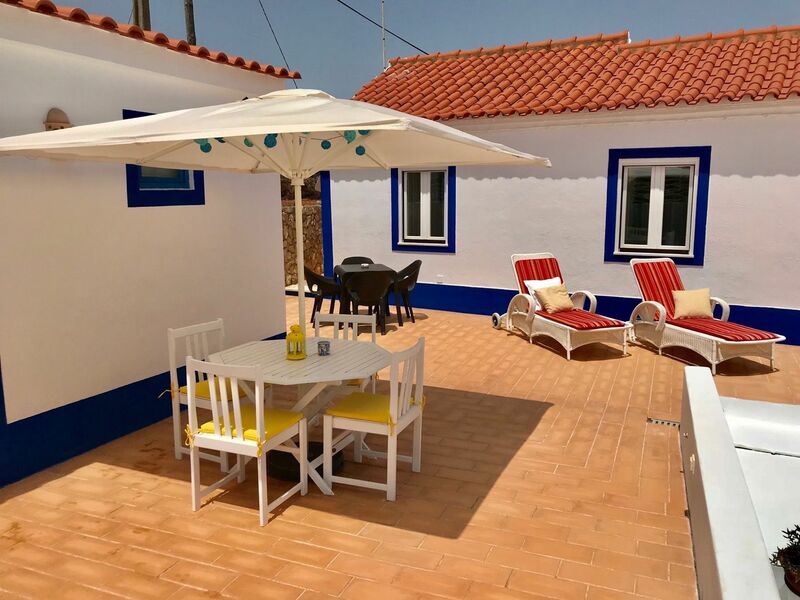 Equipment: Washing machine, oven, microwave, fridge/freezer, WiFi, Portuguese satellite television (with many international channels). 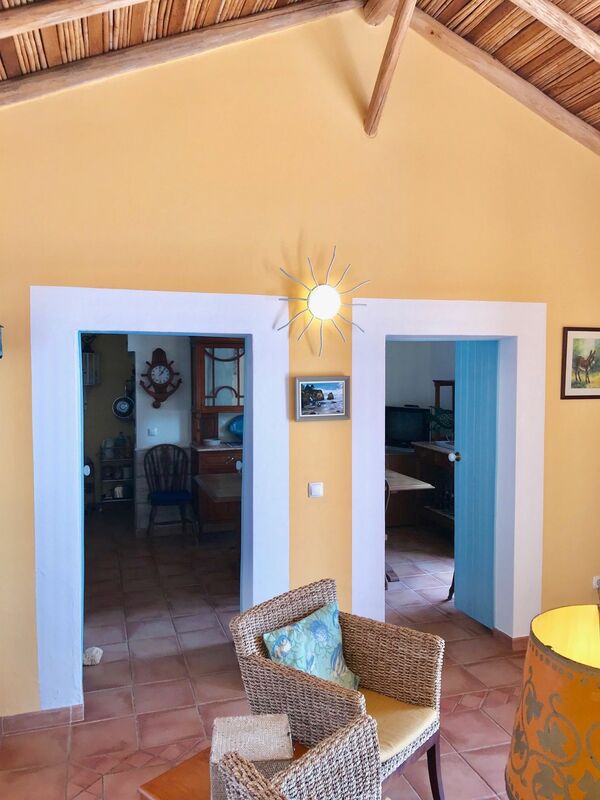 Casa Mestre André is nicely furnished in Portuguese style. 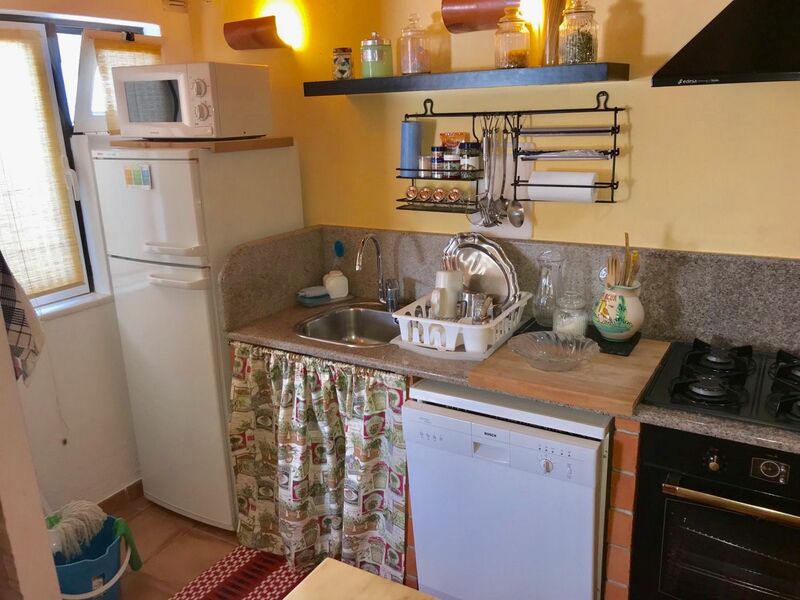 Furthermore there is a living, kitchen, 3 bedrooms and 2 bathrooms (one outside). 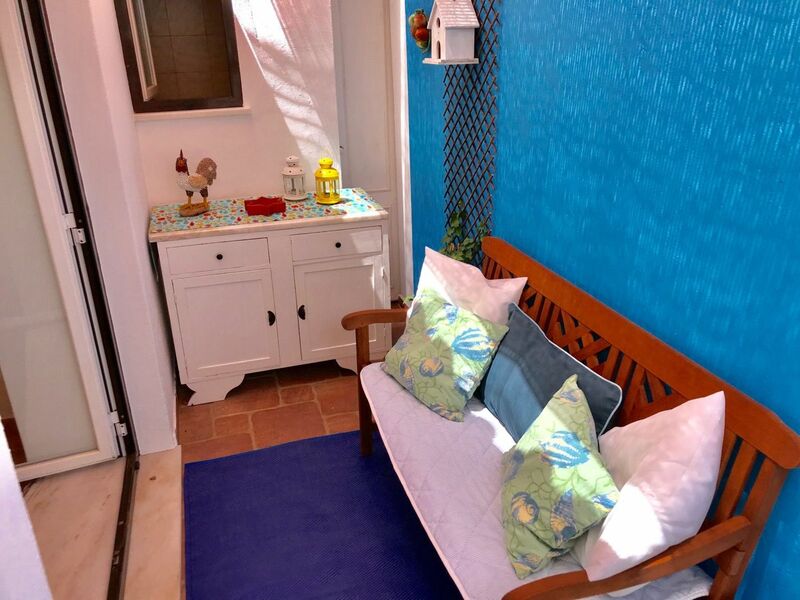 It has a cozy living room with satellite TV and Wifi. 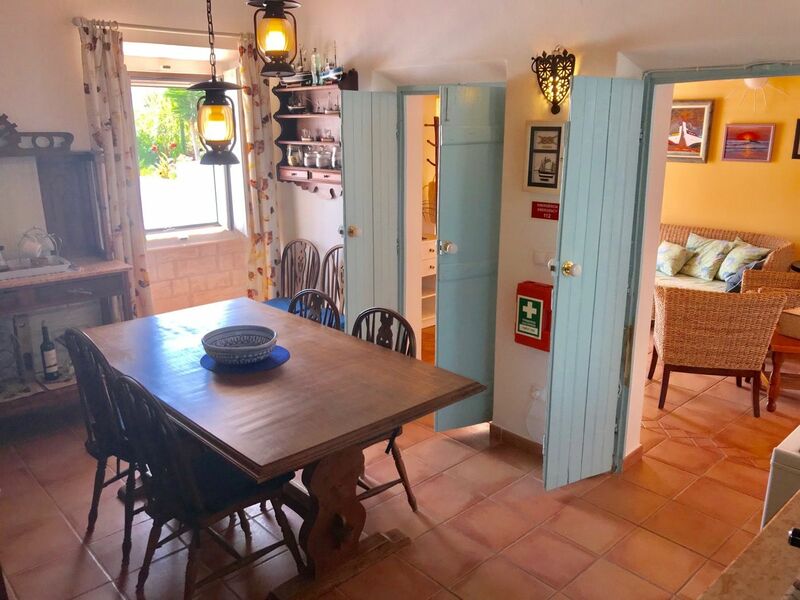 The cottage has three bedrooms. 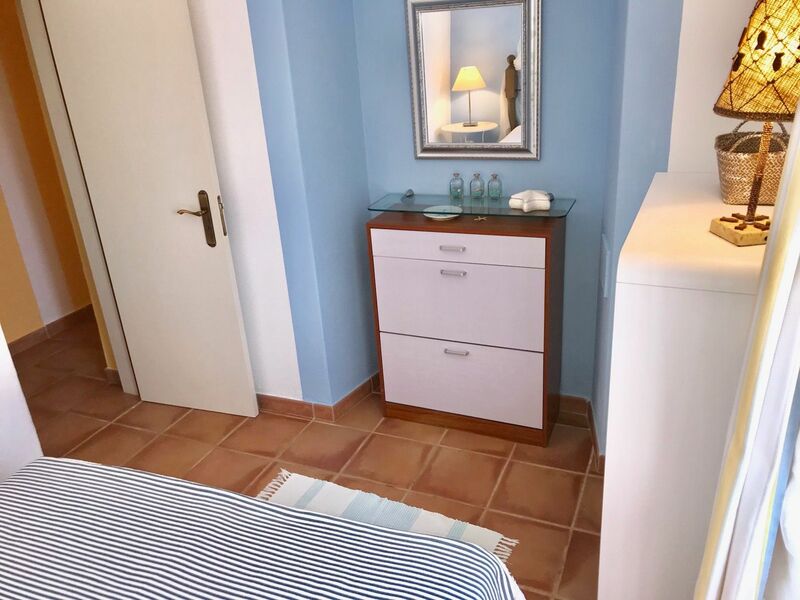 All rooms have a (small) double bed. 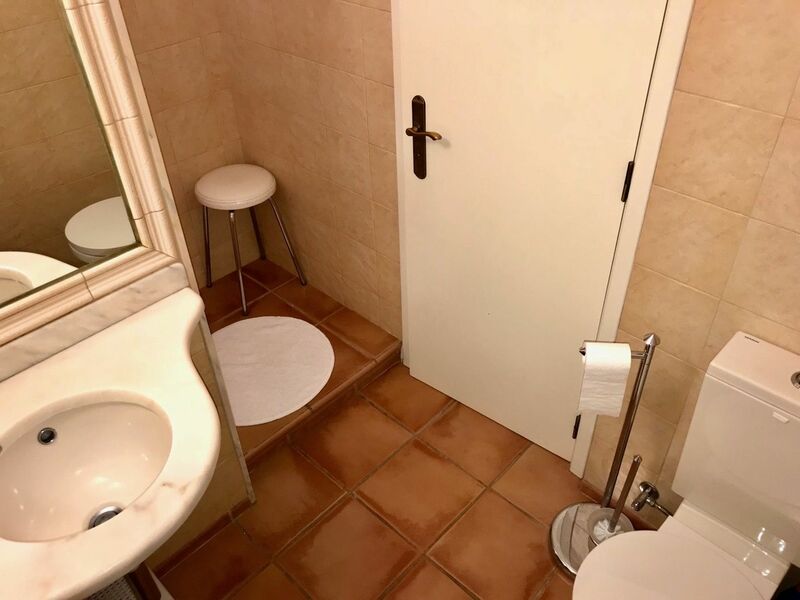 The cottage has 2 bathrooms. 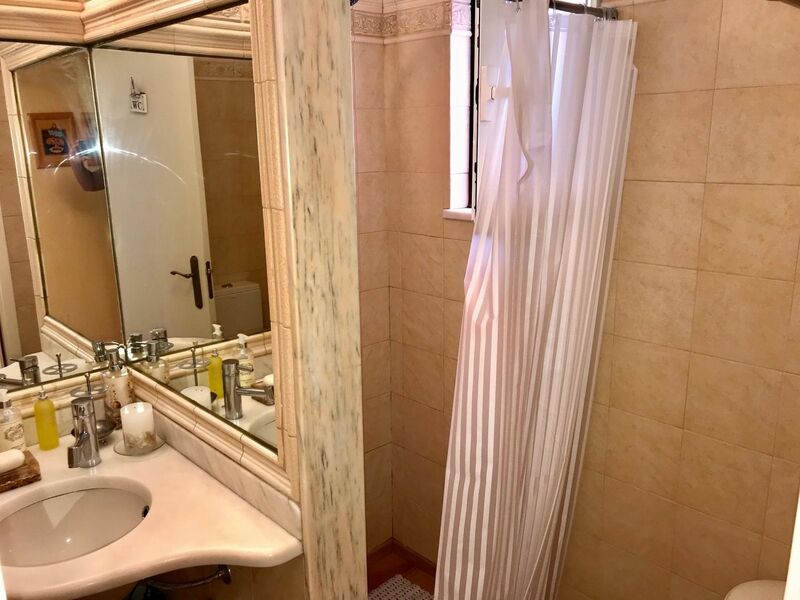 One bathroom is in a separate building outside the main building. 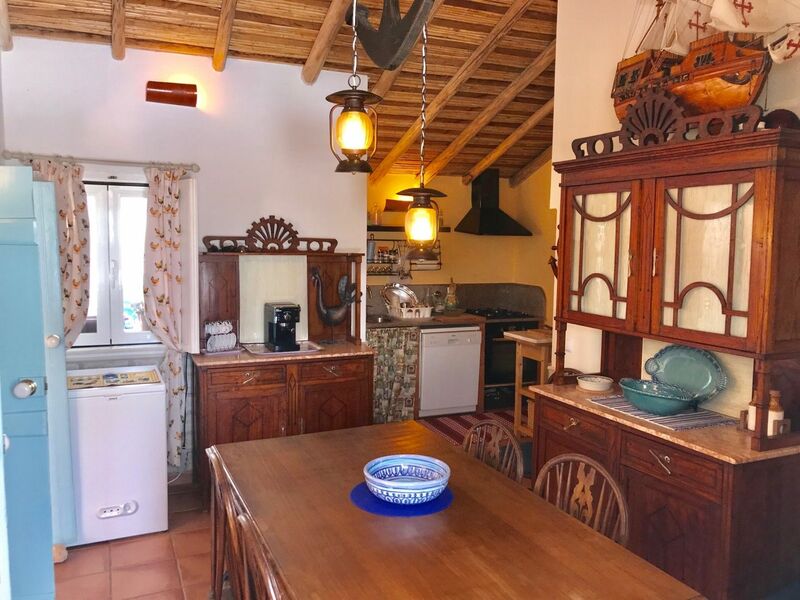 The open kitchen is equipped with a stove, microwave, fridge/ freezer, oven and washing machine. 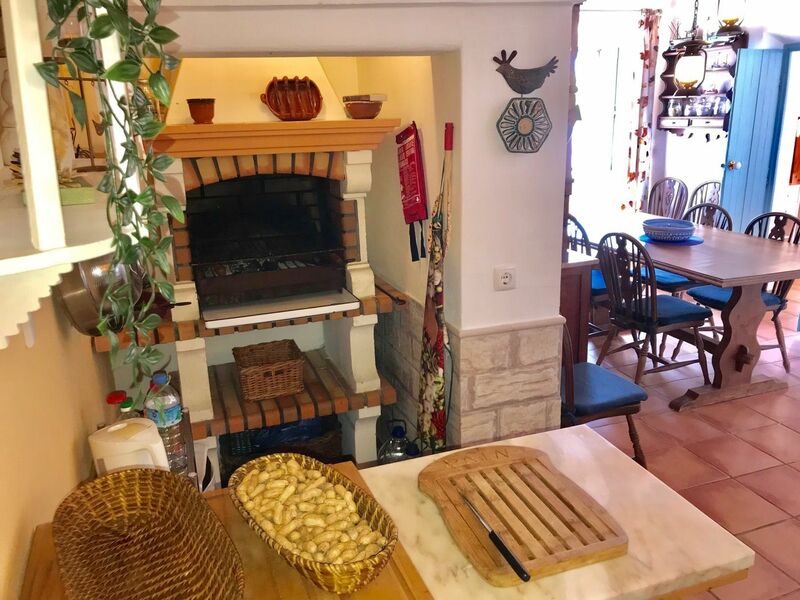 There is also an indoor barbecue! 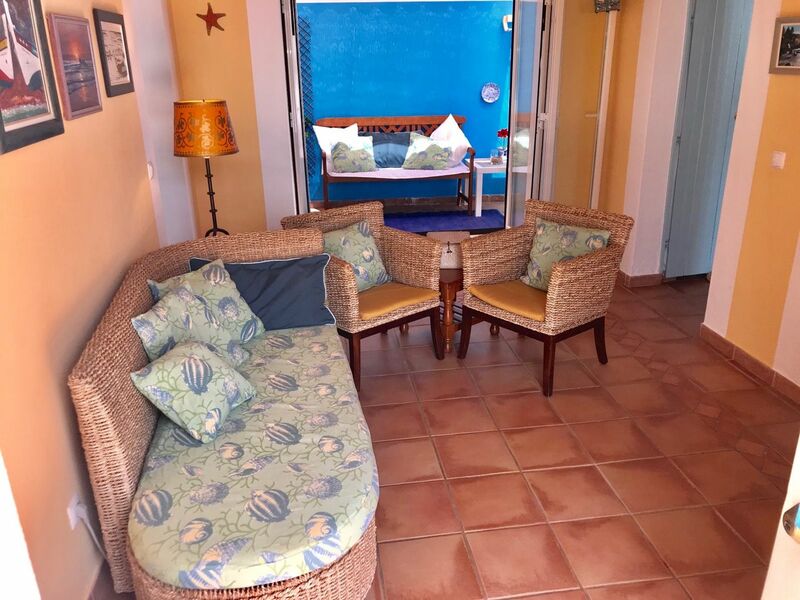 You can sit outside on the large terrace with sea views in the distance. 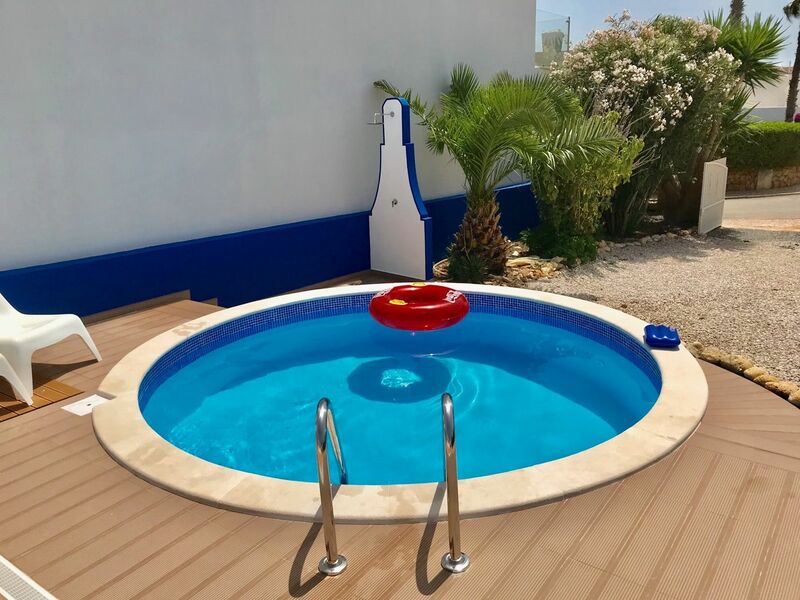 There is a new very nice round pool and you have your own parking space. 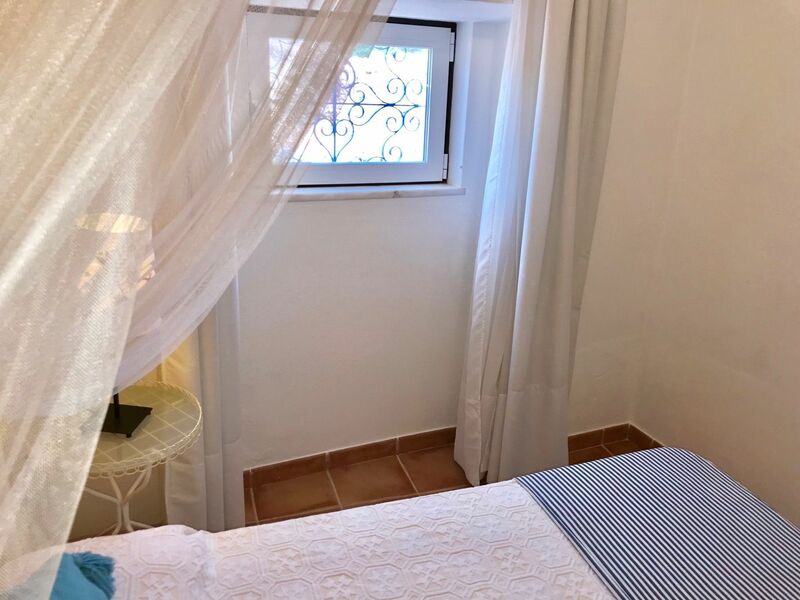 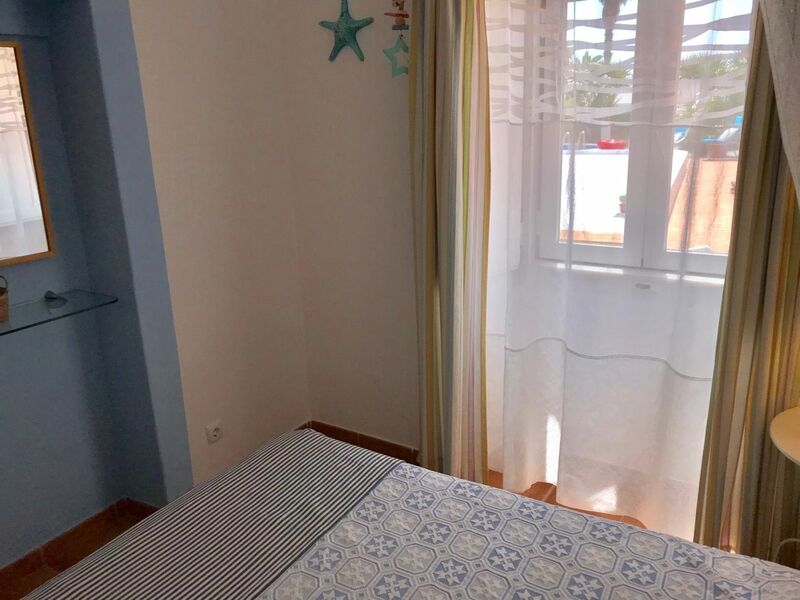 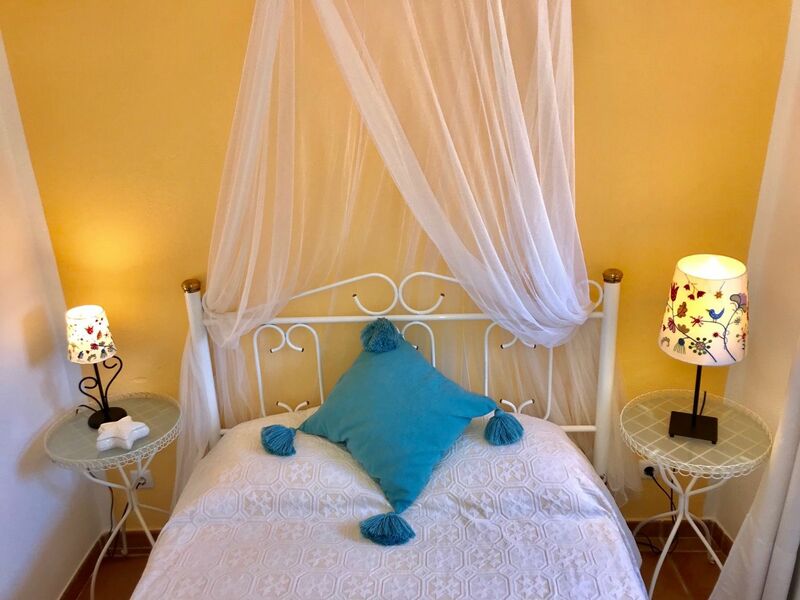 Casa Mestre Andrél is located in the small fishing village of Benagil. 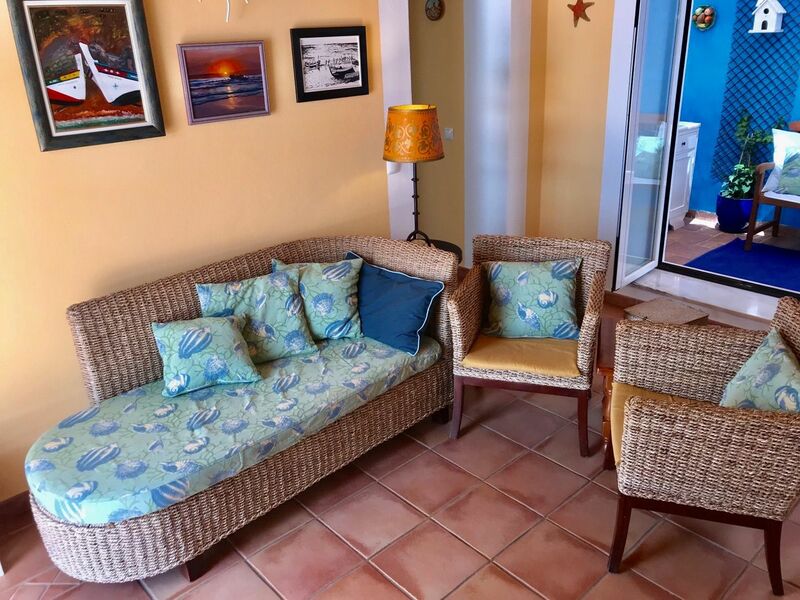 Opposite the house is the direct stairs to the beach and some restaurants. 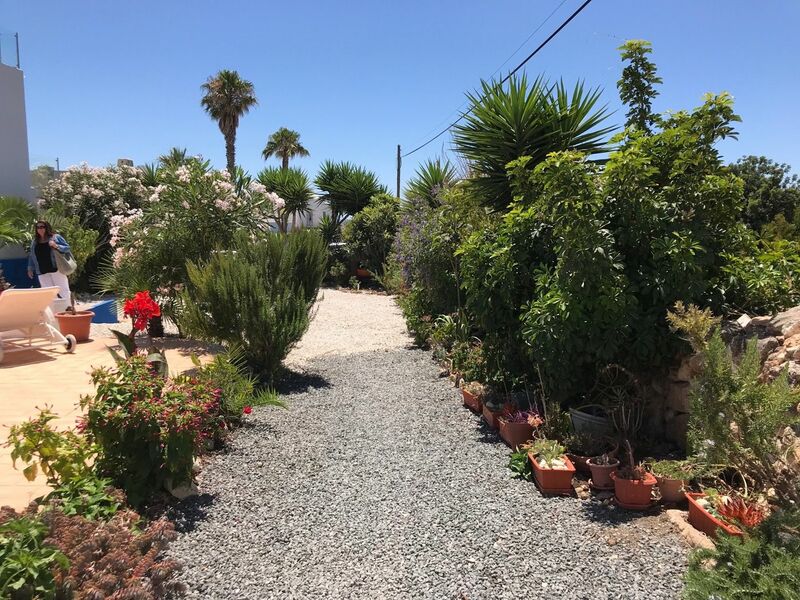 This is all within 5 minutes walk. 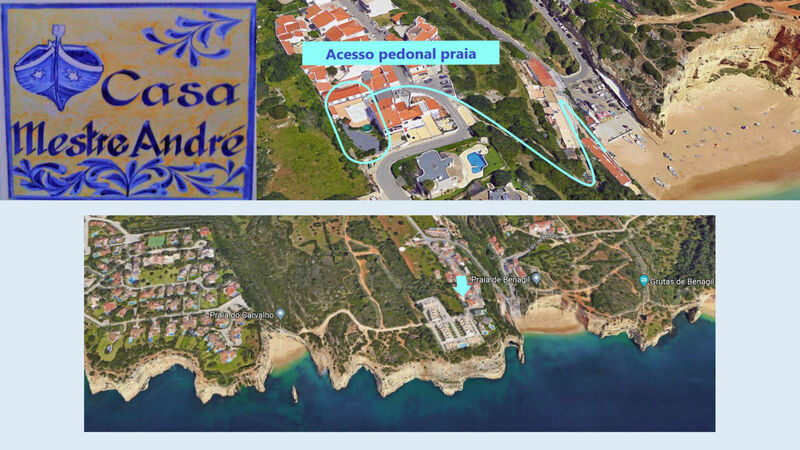 On the rocks you can make beautiful walks and from the beach there are possibilities for cave trips by boat. 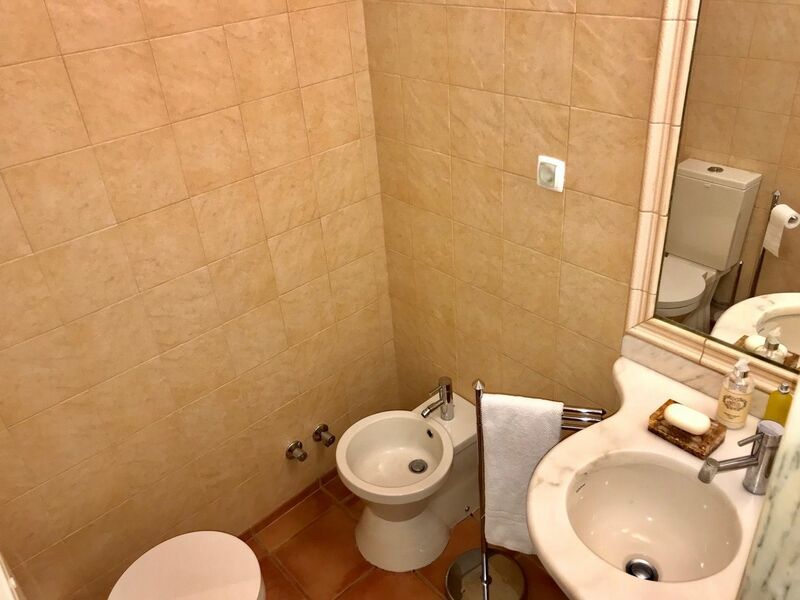 Truly a wonderful destination. 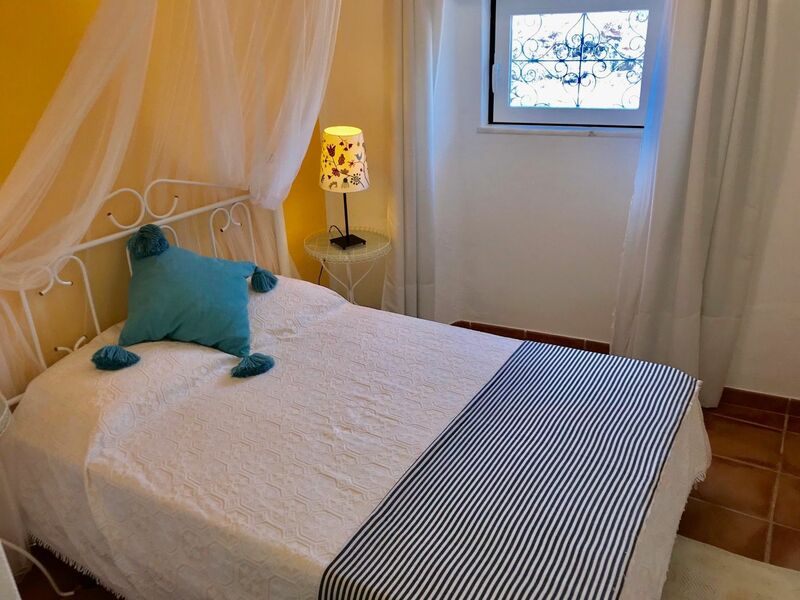 - Minimum stay: 7 nights! 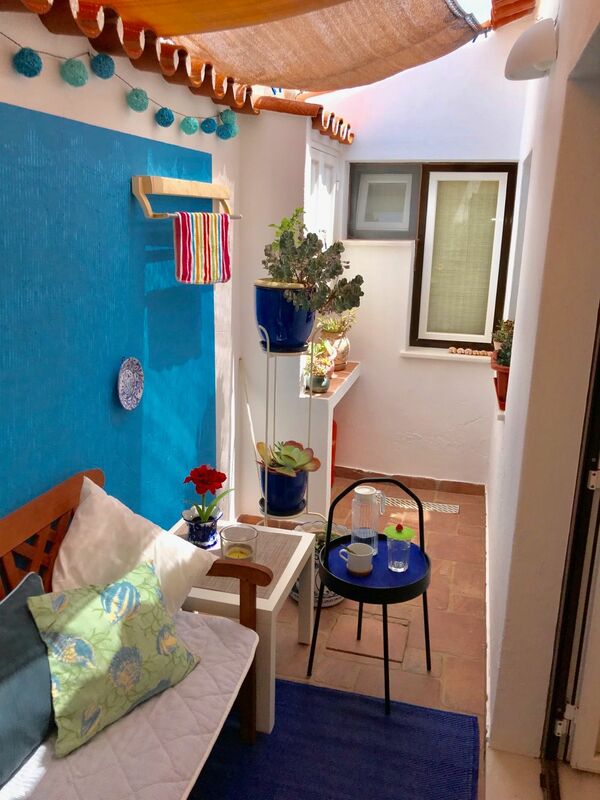 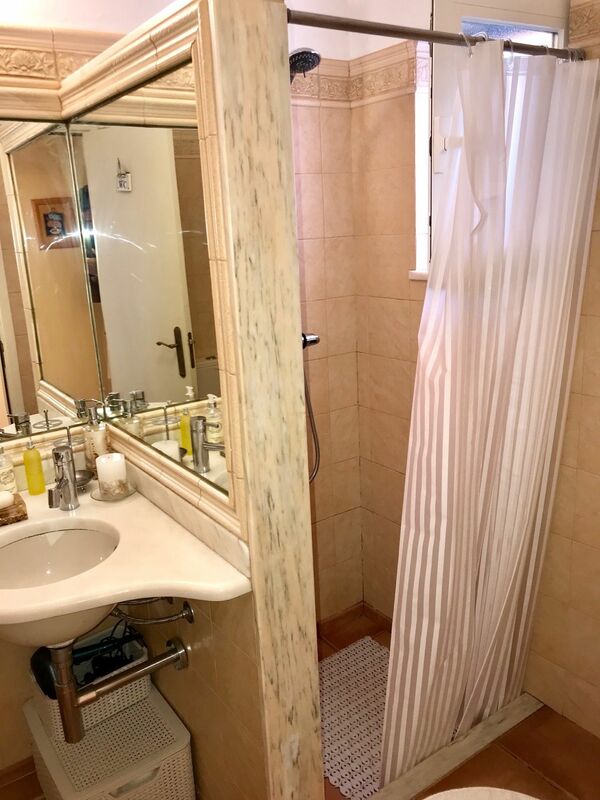 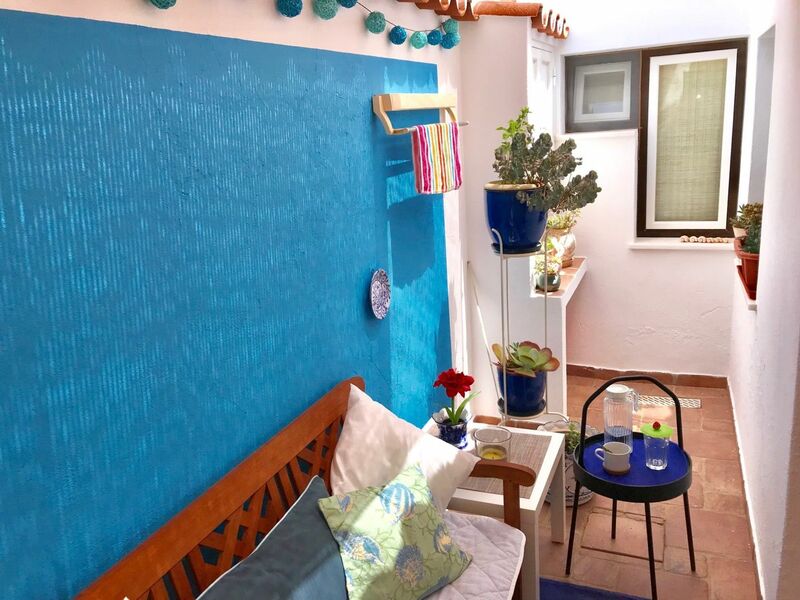 - The owner requires a security deposit of € 150,00. 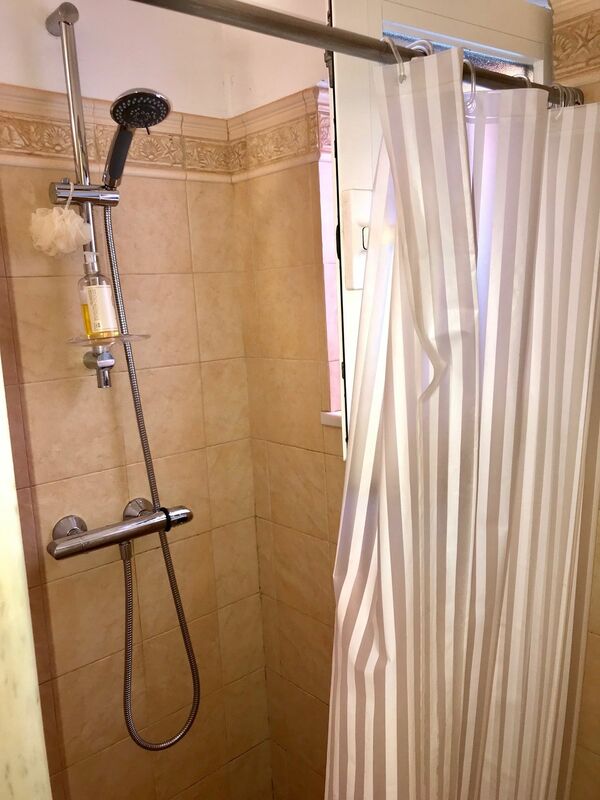 This total deposit will be refunded after the final cleaning has taken place.